Exhibition Showcase is India's only monthly magazine dedicated to tradeshows. Every month, over 75000 professionals check out our issue across the globe to know more about the world of exhibitions. Registered as PRESS and an ISO 9001:2015 organisation, Exhibition Showcase is member of UFI and IEIA. 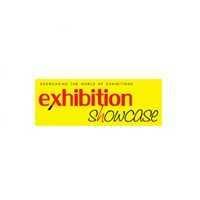 For more details, log in to www.exhibitionshowcase.com. Exhibition Showcase, supported by leading industry associations, organises Exhibition Excellence Awards, an initiative for the industry, every year. Live competition and face-offs were exciting.. award ceremony was smooth and pleasant to watch..
Good level of participation by industry experts.